Symbolist painter Gustav Klimt lived, worked, and died in Vienna. Some of the Austrian capital’s museums, galleries, and notable buildings proudly and beautifully showcase his famous pieces. Here are a few ways to celebrate and admire Gustav Klimt’s work in Vienna. Home to the largest collection of Gustav Klimt artworks in the world, 18th-century Belvedere Palace is the single most important destination for Klimt aficionados. The palace houses 24 works including Kiss (Lovers) and Judith alongside a diverse selection of landscapes, portraits, and sketches. Belvedere Palace sits within expansive grounds in central Vienna. The Leopold Museum houses one of the world’s largest collections of modern Austrian art, and takes pride of place in Vienna’s Museumsquartier. Opened in 2001, the museum holds famous Klimt works including Attersee and Death and Life. The Leopold Museum is near the Maria-Theresien-Platz and can be reached with ease on a hop-on hop-off bus tour. The Secession Building was built in the late 19th century to mark the decision made by a number of artists to withdraw from the Association of Austrian Artists. Klimt was the first president of the Secession, and his masterpiece Beethoven Frieze is housed there. Home to the Austrian National Theater in Vienna, the Burgtheater dates back to 1741 and remains among the most visually impressive buildings in the Austrian capital. Between 1886 and 1888, Klimt produced a number of impressive ceiling paintings in the Burgtheater’s stairwells that visitors can still admire today. The Museum of Fine Arts is the largest art museum in Austria, and features historic works dating back to the 11th-century House of Habsburg. Klimt and his colleagues created 40 paintings in the museum in 1890, just before it opened to the public in 1891. Explore the vibrant city of Vienna on a 24- or 48-hour hop-on hop-off bus tour. See top attractions including the Vienna State Opera, Hofburg Palace, Danube Tower and Schonbrunn Palace. Climb aboard the open-air, double-decker bus and soak up 360-degree views of Vienna, hopping off to explore whenever you like. This ticket also includes a 1-hour walking tour, led by a local guide. 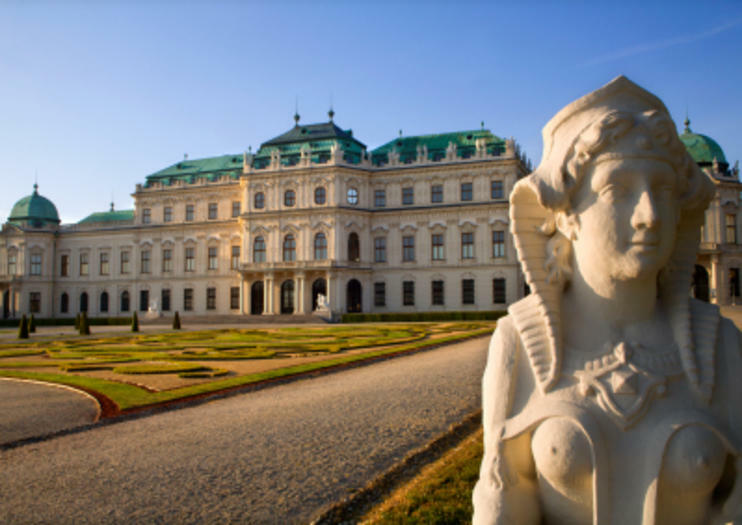 Soak up top Vienna attractions and culture with this combo tour, including admission to Belvedere Palace to see Gustav Klimt’s 'The Kiss' and a 72-hour Vienna Card. After admiring Klimt’s famous paintings, pay a visit to the Leopold Museum and then enjoy discounts at museums, shops and restaurants and free public transportation with your Vienna Card. Don’t forget to try a complimentary cup of coffee and delicious piece of cake at the famous Café Central. Take your camera for a tour of Vienna and learn how to capture the city’s beauty through a lens. With a photography expert as your guide, you’ll stop by at St Stephen’s Cathedral, the Imperial Treasury, Butterfly House, Spanish Riding School, Austrian National Library, and other landmarks. It’s a great way to discover Vienna’s architecture and more-quirky sights, such as a large collection of weaponry and musical instruments. For Art Nouveau enthusiasts, there is no better way to discover the work of Austrian artist Gustav Klimt and enjoy some Vienna sightseeing! You'll see collections of Klimt art at Belvedere Palace and the Leopold Museum, and receive free public transport and discounts at attractions and restaurants across the city with the 72-hour Vienna Card. Plus indulge in coffee and cake at the iconic Café Central, one of Vienna's most famous cafés.